Item # 303229 Stash Points: 3,799 (?) This is the number of points you get in The Zumiez Stash for purchasing this item. Stash points are redeemable for exclusive rewards only available to Zumiez Stash members. To redeem your points check out the rewards catalog on thestash.zumiez.com. 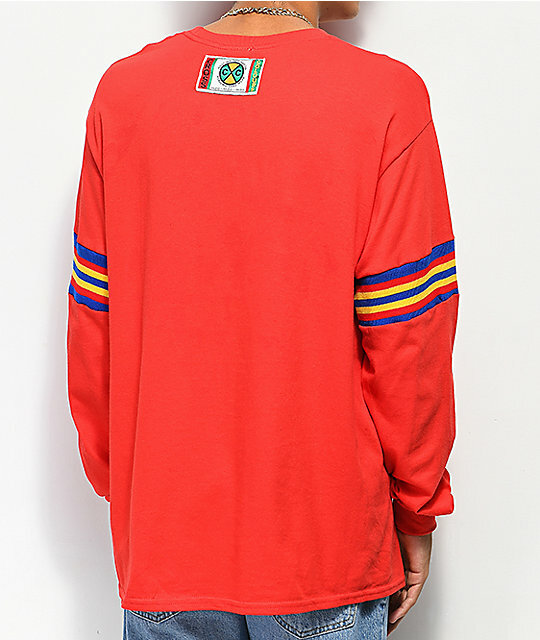 Get a fresh look from a classic streetwear company in the Cross Colours Rose Circle Red Long Sleeve T-Shirt. This overall red construction is 100% cotton and relatively loose fitting for comfort. The chest features a graphic Cross Colours logo with a floral print border, while the back has patch logo detailing on the neck and the sleeves have knit stripe detailing on the upper. 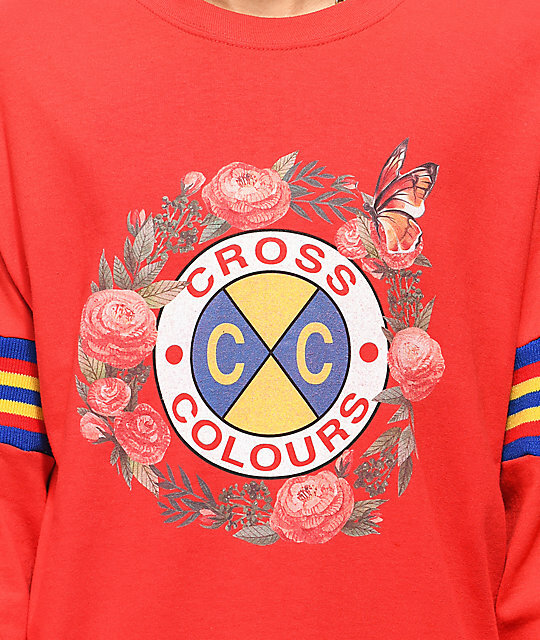 Get a flashy new street fit with the Cross Colours Rose Circle Red Long Sleeve T-Shirt. 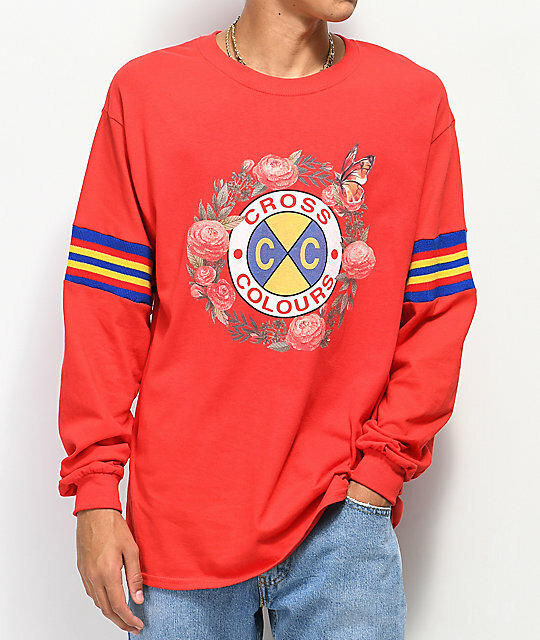 Rose Circle Red Long Sleeve T-Shirt from Cross Colours. Knit multicolor stripe detailing on upper sleeves.